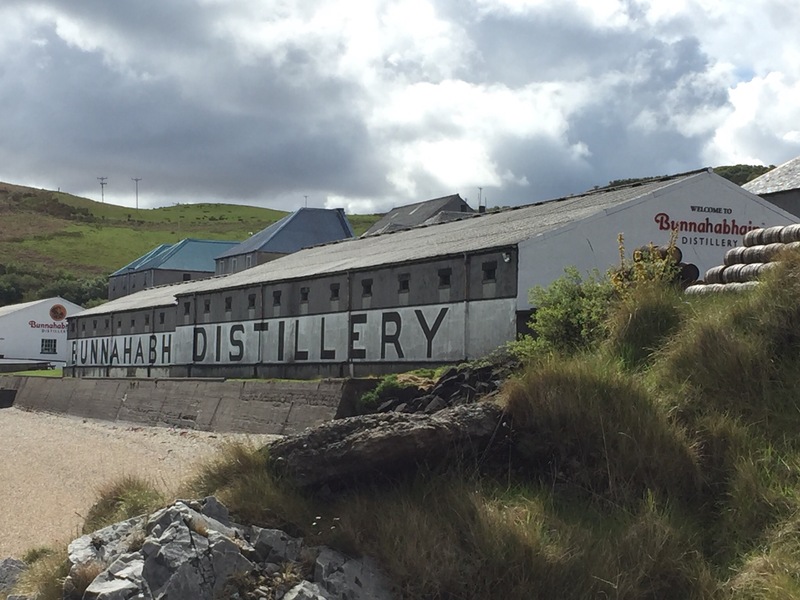 Stop number four on our whiskey trail was Bunnahabhain distillery. There’s a long narrow road down to this area. We think some nearby houses are for distillery workers. Stop number five was nearby, the Caol Ila distillery. What’s distinctive about Islay whiskey you may ask? It’s the peat. There’s a smokiness to Islay whiskey that makes it quite distinct from other whiskey in Scotland. This entry was posted in Uncategorized and tagged Bunnahabhain, Caol Ila, Islay, Scotland, Whiskey on June 18, 2016 by kermit206.